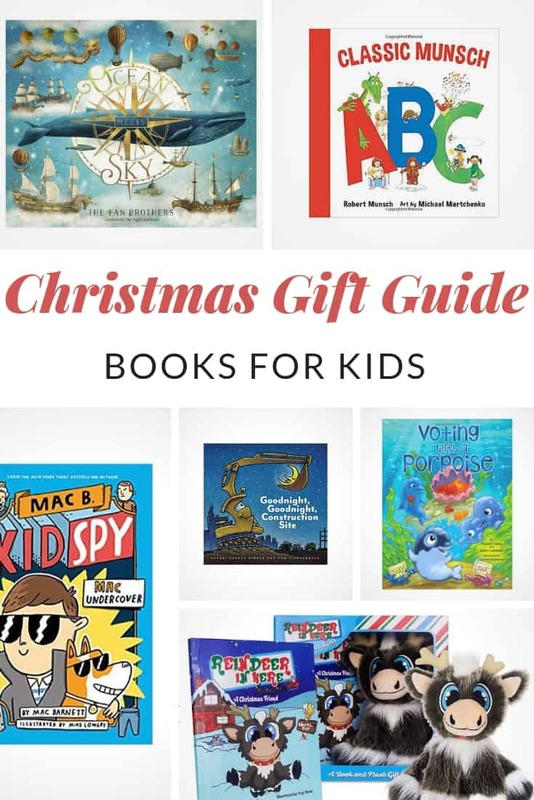 This post is in partnership with Junior Bear Books as part of our #31DaysOfGifts Giveaway Event. These posts are features of products and do not depict our regular writing style. 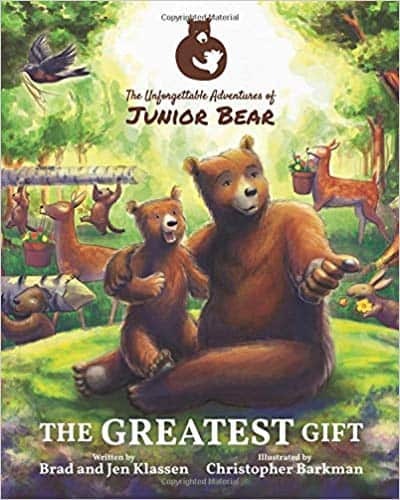 Through The Unforgettable Adventures of Junior Bear, readers of all ages will be touched as Junior learns big lessons when he listens to his father’s voice. 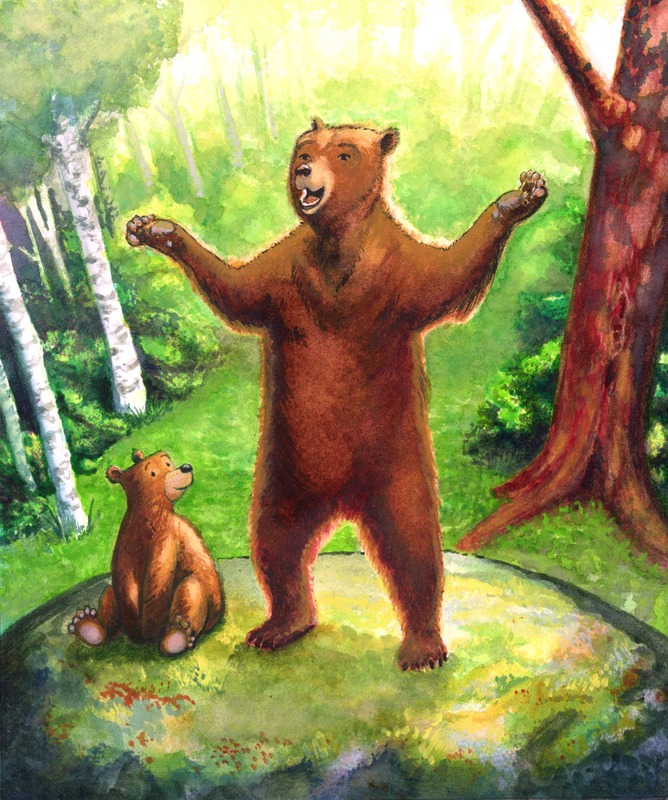 Join Junior Bear, his father, and the many animals of the forest as they live out the deep stories of the Bible and make them come to life! Remember to visit our CHRISTMAS GIFT GUIDE to see more great gift ideas and giveaways. Scroll down to enter to win the Junior Bear Book Giveaway. Good luck! 1 Mommy Moment reader will WIN a copy of The Greatest Gift – A Junior Bear Book! To enter, leave a blog post comment telling us the greatest gift YOU ever received. The greatest gift I ever received was when I became an aunt! the greatest gift I ever recieved wasn’t a material gift, it was the year, when i was about 11. My dad at that point had been in the hospital for 4 months or so, we could not visit as it was far from us…on Christmas eve an ambulance showed up in the driveway and they had brought my dad home for a few days to spend Christmas eve and day with us! That was my greatest memory of a Christmas and gift to date! A Sony camera, it was one of the first to store photos on a disc. The greatest gift I’ve ever received was a doll house when I was 8,I still have it now my granddaughter plays with it ! the greatest gift was my son….who arrived 2 weeks before Christmas! My two boys are the greatest gifts I have ever received.Gifts from God. My greatest gift was my engagement ring. I got tickets to the ballet when I was young. The greatest gift I ever received was the birth of my son! My best present ever was my first (second hand) car. My Dad wanted to make sure I could get to school on my own. My greatest gift are my children. The greatest gift I ever received was a puppy. I still have him and I love him so much! My greatest gift was my children and my grandchildren. Winter boots and handmade ornaments from my kids 🙂 thanks! My doll house my parents made was my favorite gift filled with wonderful furniture my dad made . What a wonderful article. Do you really recommend this book? I really want the child to like it, and he enjoyed reading it many times. The biggest gift I ever received was a pink teddy bear. I got it when I was 3 years old. He washed the same height as me. Now, when I am 3 times higher than I was 3 years old, this elephant is no longer so huge) Now I think that it is not the size of the gift that is important, but the ego value personally for everyone! Thank you for the beautiful and interesting article!